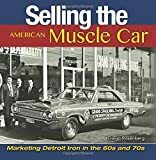 This well-written and interesting book examines how American muscle cars both reflected, and were reflected by, their respective brand marketing and advertising campaigns. It is a worthy title that allows us to view the muscle car from a different and refreshing perspective. Rosenberg was the ideal writer to tackle the subject. He is known to have a keen passion for, and a deep knowledge of, muscle car history—and also has a background in advertising and marketing. Although this is his first book, he has written extensively on muscle cars for magazines and websites. For many years, he has served as the well-informed announcer of the annual Pure Stock Muscle Car Drag Races in Michigan. Let us say right up front that Rosenberg obviously made an exhaustive effort to locate fresh and relevant images for his book. Corporate archives were searched, private collections accessed, and dusty files of performance car dealers from the time combed through. All of which resulted in a book illustrated with eye-catching period images, many of which may be new to readers. 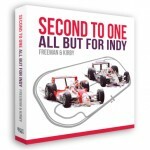 An engaging Foreword, penned by Bob Ashton, Managing Member of the Muscle Car and Corvette Nationals, revs up the book at the start. The prelude chapter titled “Some History” that follows reviews the high-performance antecedents of the muscle car. The author then shifts to the brand review chapters at the heart of this hardbound tome. 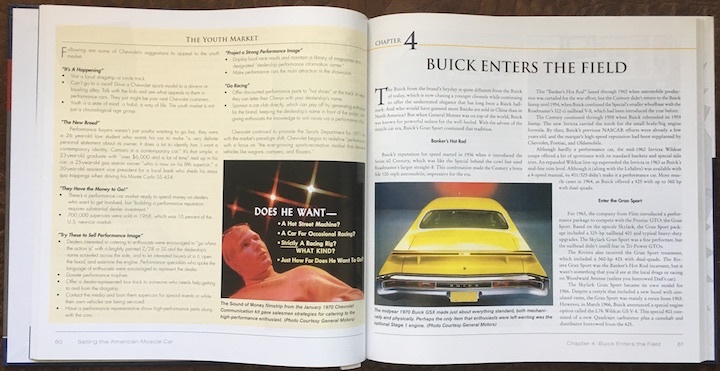 First up is the Pontiac chapter, which recounts that GM Division’s pioneering performance cars, and the breakthrough marketing efforts that spurred their sales success. Rosenberg reaffirms that it was, more than anyone else, Detroit adman Jim Wangers who first clearly grasped that traditional racing and street/strip performance represented distinct marketing opportunities. Leveraging Wanger’s insights, Pontiac sold more than 32,000 mid-size Tempests with the new “GTO” package in 1964—a success that ignited the already smoldering 1960s muscle car movement in an impossible-to-ignore cloud of screeching tire smoke. 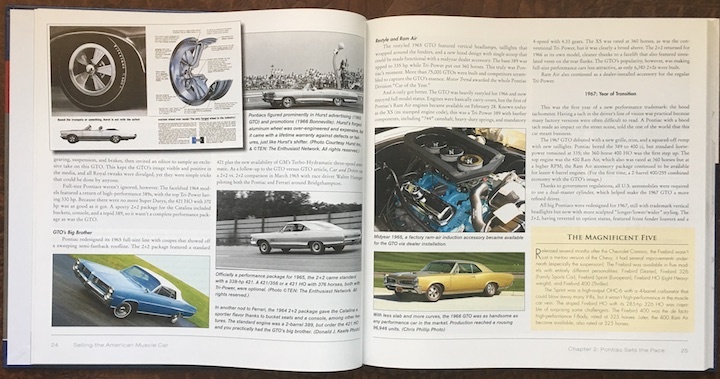 The chapter also includes a fascinating multi-page exploration of the intriguing Chevrolet-powered Canadian Pontiac muscle cars. 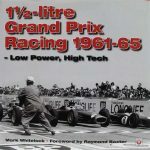 Next up are chapters on high-performance offerings from Chevrolet, Buick, Oldsmobile, Ford (including Shelby cars), Mercury, Plymouth, Dodge, Studebaker, and AMC. Each brand chapter leads off with a succinct overview of the specified marque’s muscle-car offerings. Discussions of select dealers who carried their make’s banner into the muscle car wars with extraordinary alacrity are included. The author concludes each brand review with an in depth and well illustrated report on the strategies and materials that supported the given marque’s performance-car marketing and advertising efforts. The book reveals that there were no universal rules of customer engagement in the rapidly expanding and ever-changing muscle car market. 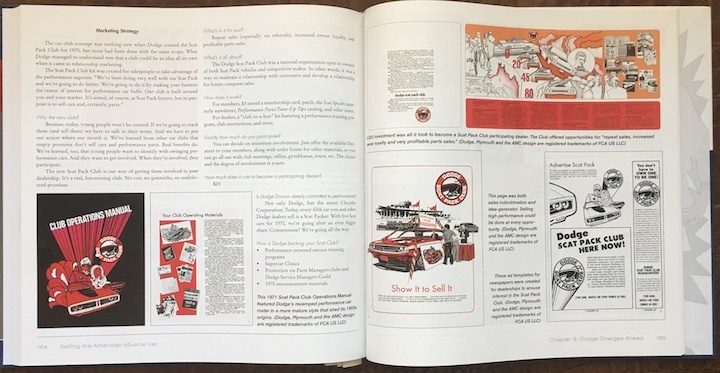 The pace at which the cars, and their buyers, were evolving made it difficult to create meaningful communications that connected—a challenge amplified by the rapid cultural changes taking place in America during the period. Each brand’s outreach to the young adults driving the performance car market was uniquely shaped by the creativity of its ad agency. Marketing strategies and advertising campaigns ranged from intentionally laughable to impressively serious, as described and illustrated through samples in this book. 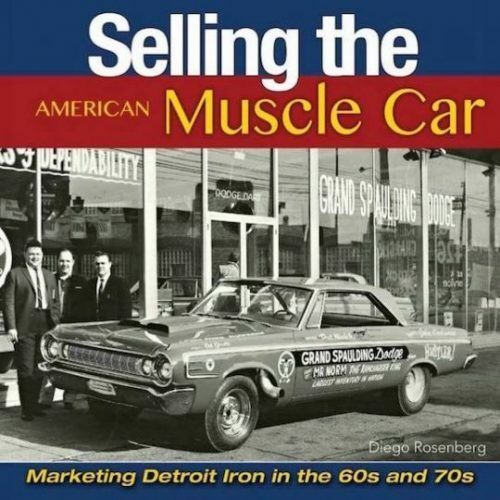 Rosenberg covers muscle car marketing thoroughly, from home office efforts to the dealer level. Many dealers, he points out, avoided muscle cars, seeing them as fraught with challenges such as potential warranty issues. But other dealers realized the upside sales possibilities afforded by the rising tide of car-crazed young baby boomer buyers flooding into the auto market during the mid-1960s. Some well-connected dealers even obtained for their stores limited runs of muscle cars specially powered and configured by the factory. Others added in their own shops the performance and appearance upgrades that made their cars standouts. Dealers such as Royal Pontiac (which essentially created the specialty niche), Nickey Chevrolet, Grand Spaulding Dodge and Tasca Ford are among the better known muscle car specialist dealers covered. 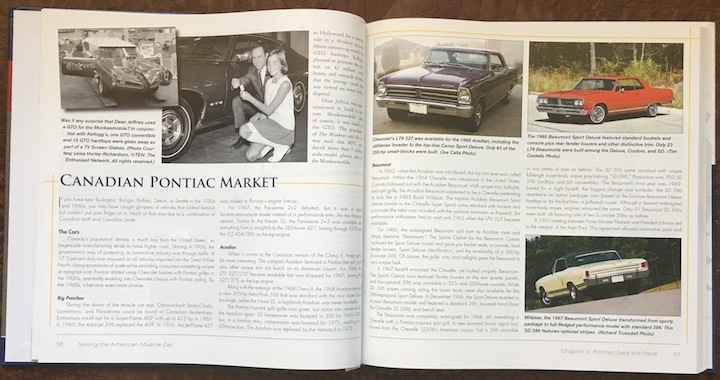 In addition, thanks to the author’s intensive research, several fascinating regional and local dealer special cars—including even a couple from Canadian dealerships—are included in his coverage of the fascinating dealer adaptations of factory stock high-performance models. 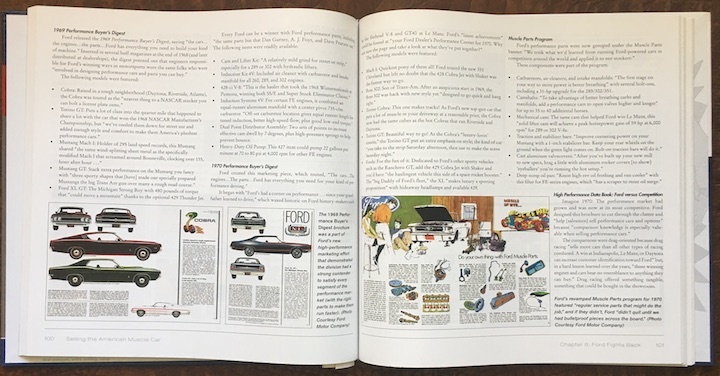 The Dr. Olds “Varooom Room” showroom display kit, an item that reflects the aggressive strategies employed to woo muscle car prospects by Oldsmobile (which Rosenberg admiringly acknowledges to have been a “Tier 2 performance brand with Tier 1 aspirations”). The book includes a light Index that primarily covers individuals mentioned in the text. We found this well researched and nicely presented book informative and enjoyable to read, and anticipate we will return to it often for reference. It should make a fine addition to any muscle car enthusiast’s library. Copyright 2017, Terry V. Boyce (speedreaders.info).